The villa estate brings the highest standard of Indonesian hospitality and service to the exotic black sands of Bali’s Pabean Beach. 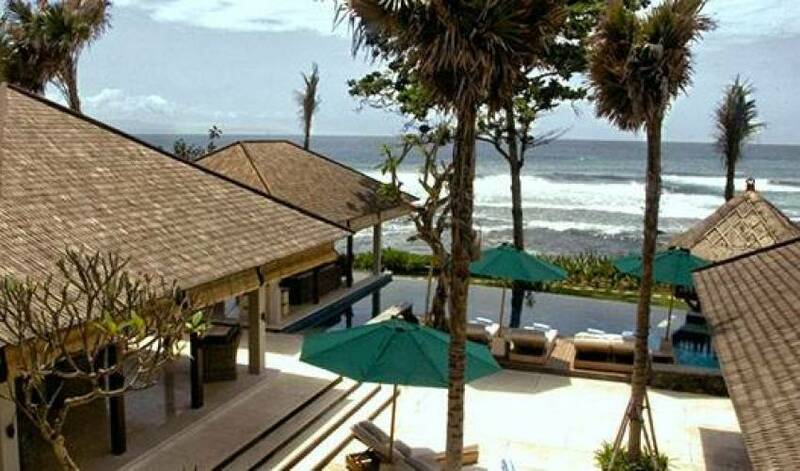 This Guy Morgan designed boutique complex consists of four private villas, each with their own unique facilities and dedicated staff. 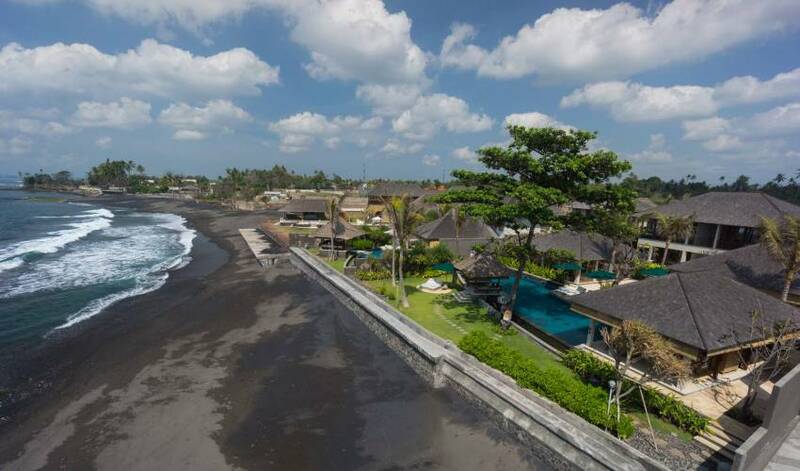 All our villas are ultimate beachfront, allowing every guest to take in the views of the spectacular Indian Ocean, Nusa Penida Island, and the monumental silhouettes of the holiest mountain in Bali, Mount Agung. 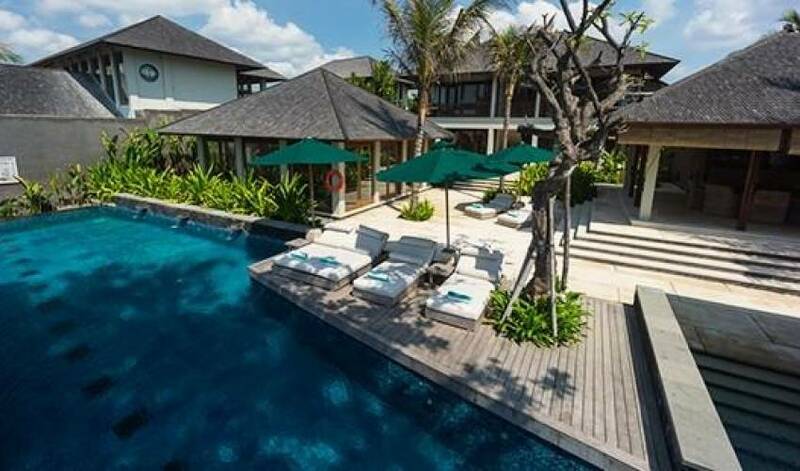 The estate offers its residents a tranquil escape from modern life while being surrounded by all the sophisticated comforts you would expect, from private pools to resort-wide complementary wi-fi connectivity, and state-of-the-art entertainment system; all only 40 minutes from Ngurah Rai airport. Dining here is all about choice, whether staying in or heading out. 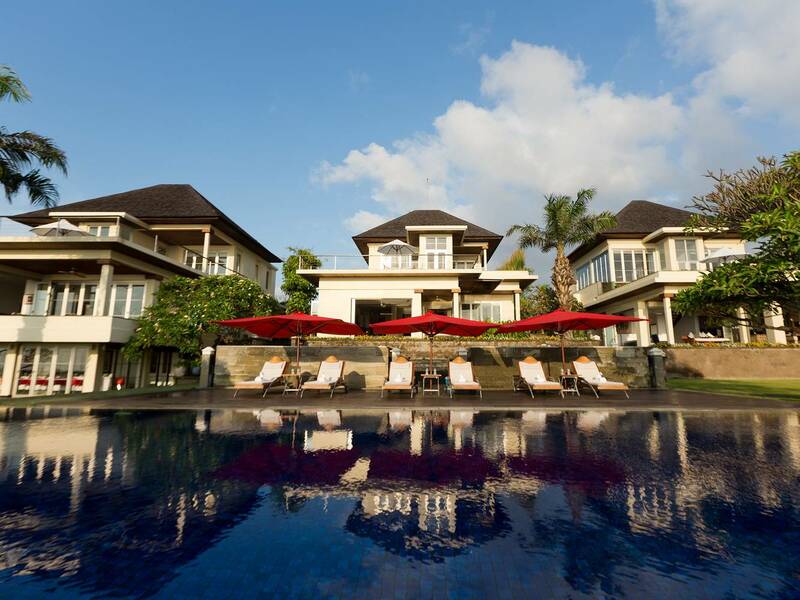 Relax in your villa at the capable hands of the personal staff, including a private chef, or utilise the comprehensive facilities to create your own culinary masterpiece. 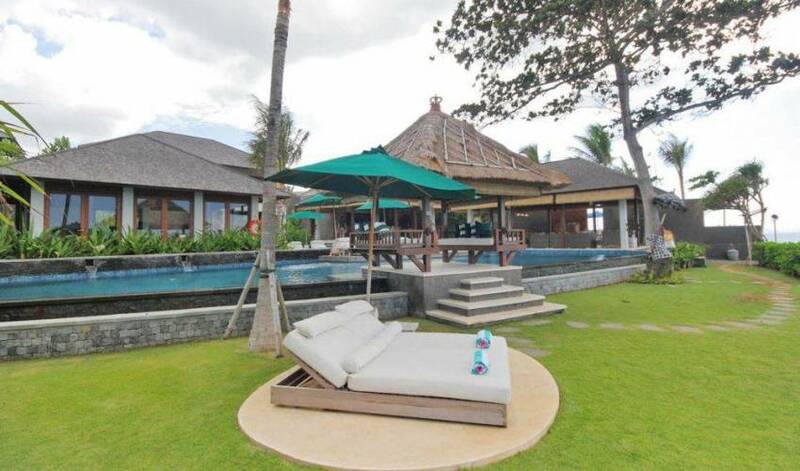 The village of Sanur, with its 8 km beachfront esplanade of shops and restaurants, is just a 15 minute drive away. Nestled among red flowering trees and towering fragrant Frangipanis is the resort spa. This luxury massage and beauty spa offers every indulgence spa lovers have come to expect and more. Our signature product range is designed to enhance your sensory experience, be it during a therapeutic Balinese massage, or a hair hydrating crème bath. 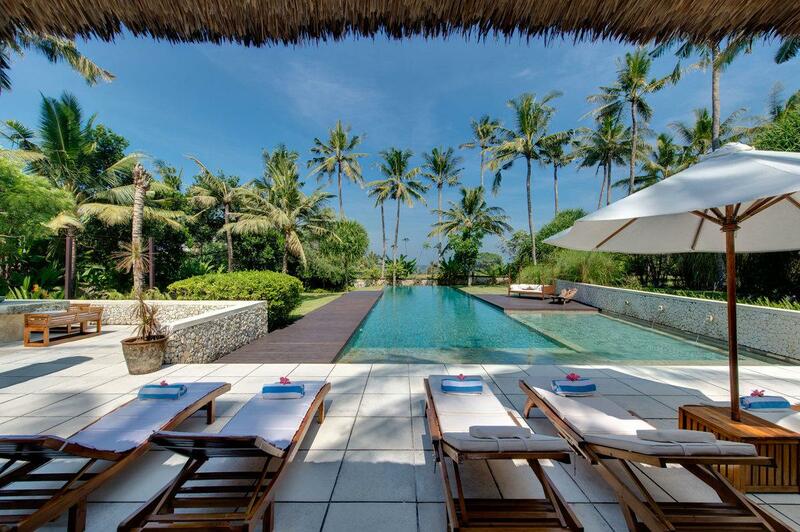 Located on Bali’s South-East coast, Pabean Beach is a quiet haven away from the crowds of Kuta and Legian. 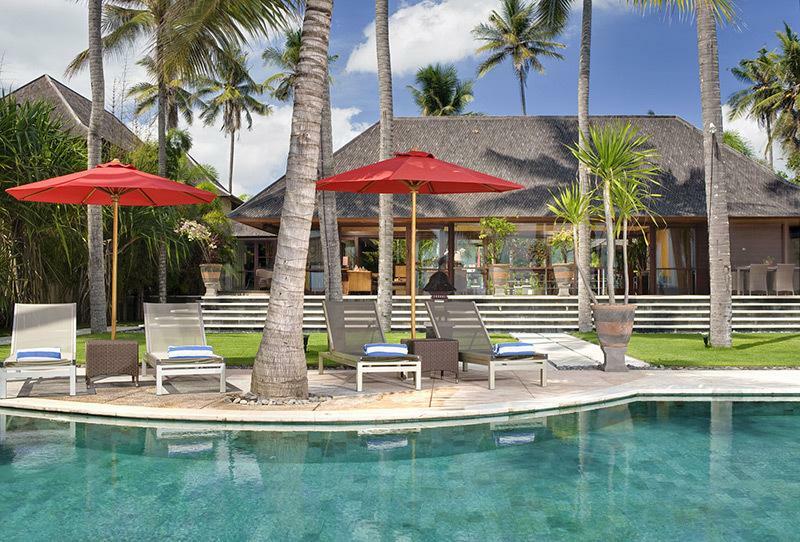 The estate offers guests a myriad of activities on site such as snorkeling, kayaking and paddle boards, private pools, beauty spa and salon, fully-equipped fitness studio, yoga pavilion, children’s games room and play area, internet, library, and all the glories of the Indian Ocean. 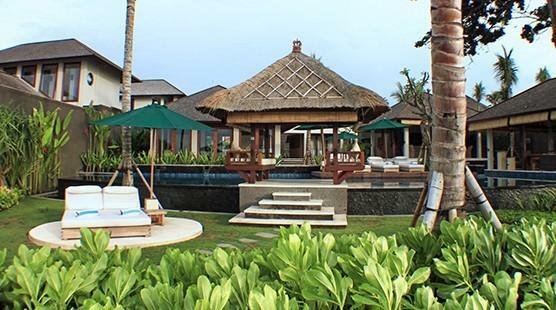 Here, the detailed elegance of traditional Balinese interiors and architecture is combined with contemporary design to create four villa residences, each a haven of modern sophistication with luxurious amenities and technology. 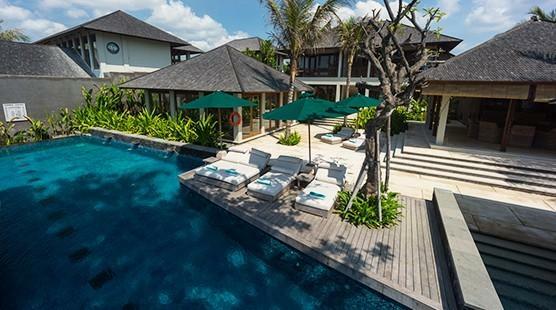 Each villa has been individually designed to reflect one of the four traditional elements. All our villas are fitted with fully equipped kitchens including espresso machines, entertainment systems, dedicated staff, complimentary wi-fi, in-room wine fridges as well as having private swimming pools, private beach access and use of the resort Spa and fitness centre. 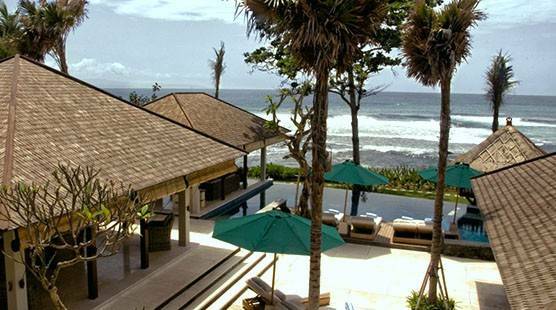 Textured wood and natural stones root this lavish villa firmly in the earth. 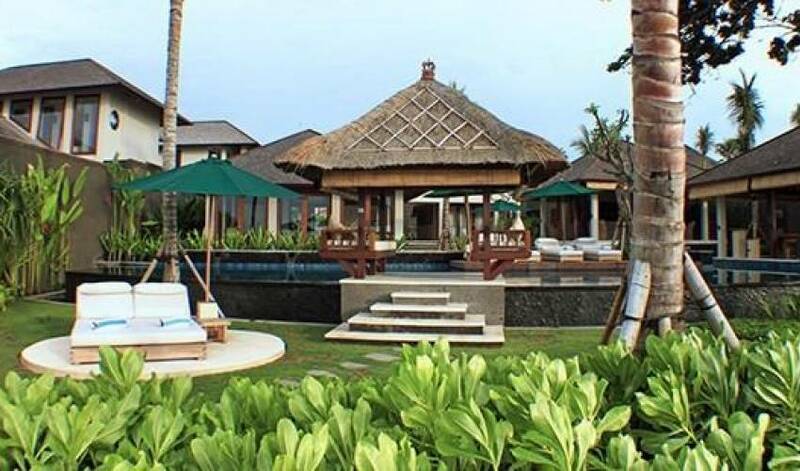 Villa 3493 comprises four king-sized suites complete with individual expansive bathrooms and private ocean-view balconies. 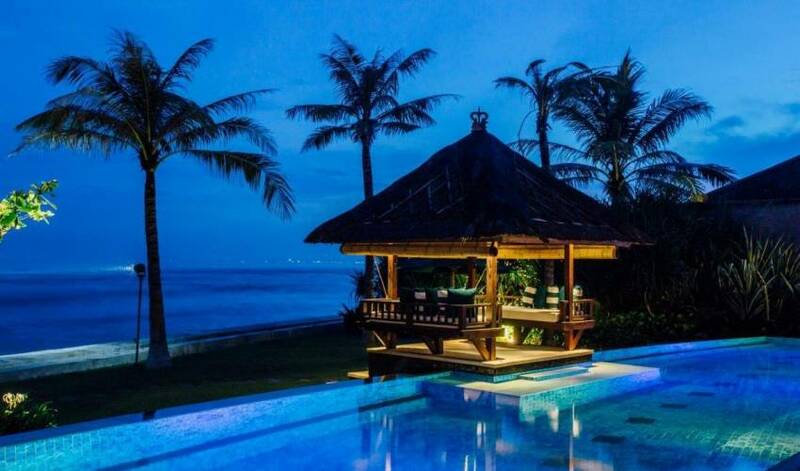 This villa is fitted with a fully equipped kitchen including espresso machines, NAS for movies, villa dedicated staff, complimentary wi-fi, as well as having private beach access and use of the resort Spa and fitness centre. 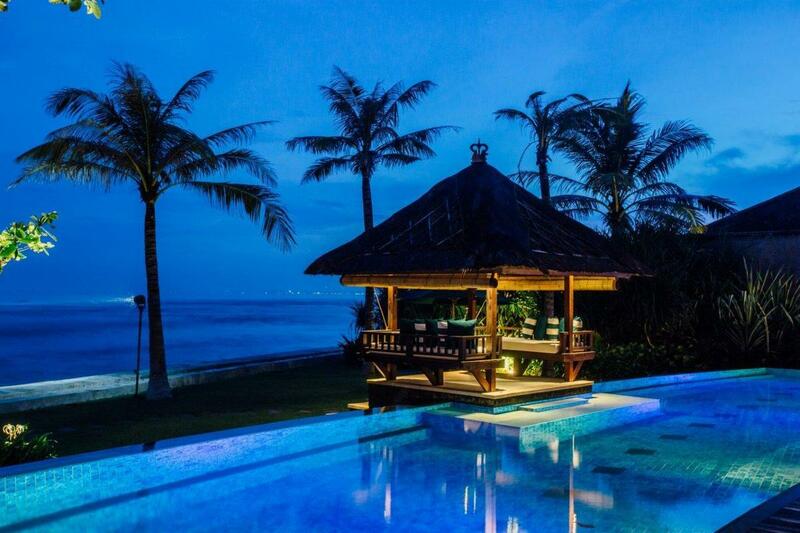 This villa is located on Pabean Beach, part of the villa estate, on Bali’s South-East Coast, 45 minutes from Ngurah Rai airport and centrally located to the famed Bali tourist destinations of Ubud, Sanur, Seminyak, Sukawati Art Market, and the silver craft village of Celuk. 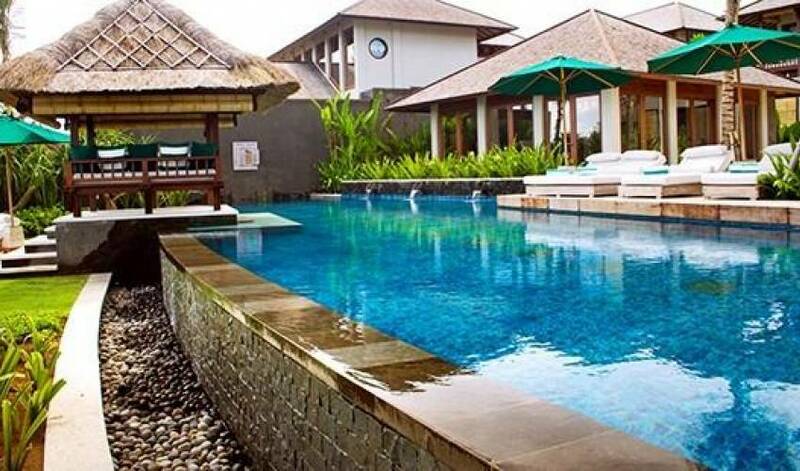 Bali icons such as Bali Zoo, Bali Bird Park, and Bali Safari and Marine Park are only 15-20 minutes away.